Ok! So are following a diet plan but your friends have asked for a home-made treat from you! You are now thinking that what should be an ideal menu that would not hinder with your diet plan yet would turn out to be a memorable meal? Well, I have a solution for your problem. I am sharing a delicious menu with you, with its health benefits and procedure to cook. You can now eat well without thinking about those extra inches and receive compliments from your buddies. Greet your guest with this amazing juice that is not only healthy but helps in reducing your belly too. You may consume this drink regularly. Place all ingredients in a large jug together and keep aside for overnight. 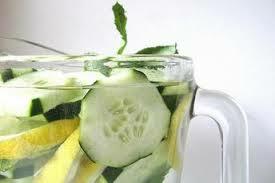 Next day, strain the water and serve the drink with ice cubes and a rind of lemon. A truly refreshing drink that helps reducing your belly fast! After the welcome drink, now its time to head towards the main course. Here we go. 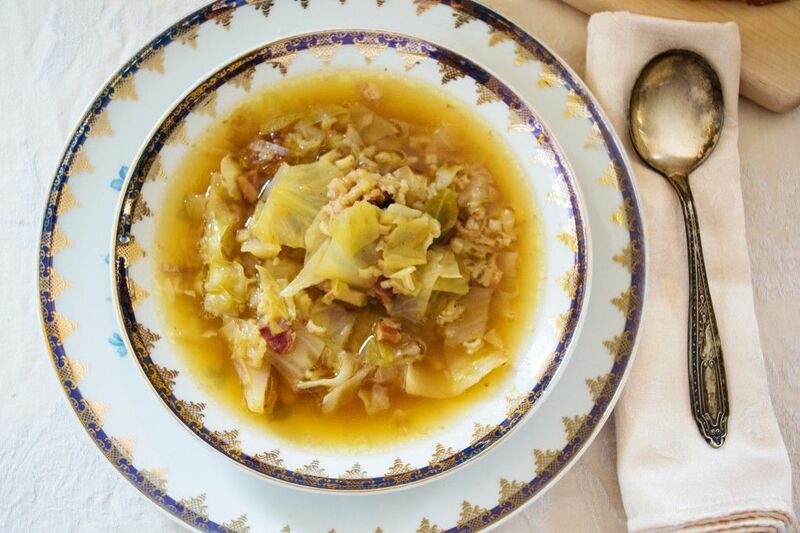 Soup is one of the healthiest starters of any meal. One perfectly prepared bowl of soup should contain healthy ingredients and yes; not to forget, it should also be tasty. Heat the oil into a large soup pot over medium heat. Add the Chicken and onion and cook stirring occasionally until the onions begin to brown. Add the cabbage and cook stirring occasionally for 15 minutes. Pour in the boiling water and simmer for 10 minutes. Add the rice and cook for 30 minutes more. Stir in the Maggi seasoning and salt to taste. Your soup is ready to be served. 1. Preheat oven to 400 F. On a large rimmed sheet pan, lined with parchment paper, add the cherry tomatoes and spring onions together and drizzle them with a little bit of olive oil and sprinkle with salt and pepper. Bake the cherry tomatoes for about 20 minutes, or until they are soft and starting to burst open. Remove from oven. 2. Place almond ricotta with the roasted garlic and basil and blend until all ingredients are combined. Add salt to taste. 3. 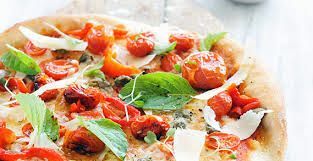 Spread the ricotta onto the baked pizza crust and top with cherry tomatoes, spring onions, toasted pine nuts and drizzle with balsamic reduction sauce. This cheese-less pizza is high in protein and nutrients. Preheat oven to 350 F. Spray a foil lined baking sheet with non-stick cooking spray and set aside. Mix egg white, the first amount of sugar, and cardamom in a medium sized bowl. Add pecans and stir till coated. Spread pecans onto prepared baking sheet. Bake for 10-15 minutes, stirring as needed. Remove pecans from oven and break into smaller pieces. Combine 1/2 cup of the blueberries, olive oil, vinegar, the second amount of sugar, and the orange juice in a blender. Puree until smooth. In a large bowl, toss lettuce, remaining blueberries, and oranges together. Top with goat cheese and pecans. 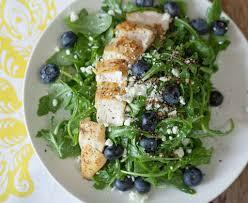 Serve with the blueberry dressing. 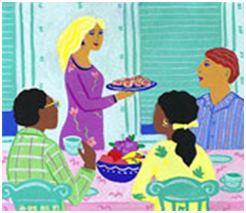 I hope, you will love these recipes and so will your guests. Stay connected to get more healthy receipes. Food & Nutrition, Healthy-Recipes, Weight Loss. permalink.